An "atomic sculpture" made from Los Alamos National Laboratory scraps, by Tony Price (1937-2000), of Santa Fe, New Mexico. 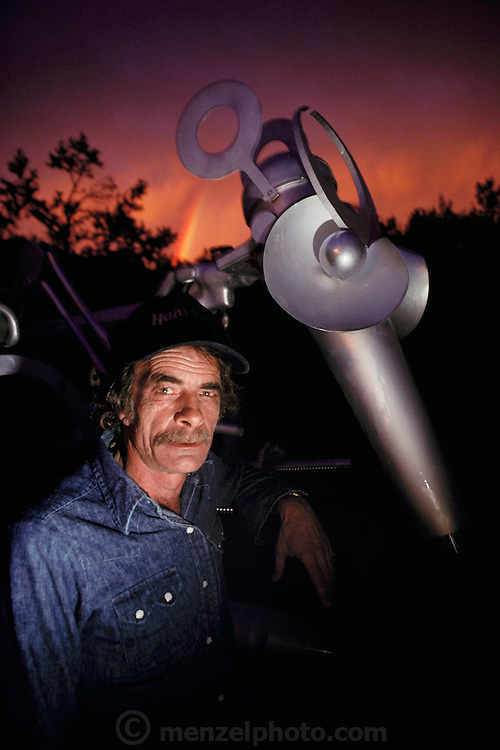 Tony Price, bought scrap from the nearby Los Alamos National Lab weekly public auctions, and built sculptures which convey anti-nuclear themes and messages. MODEL RELEASED (1988).